Amish made solid wood grandfather clocks, and mission style arts and crafts clocks from solid quarter sawn white oak or cherry wood will last a lifetime. We don’t use the old style movements, but have switched to the battery operated clocks with, or without, a chime. 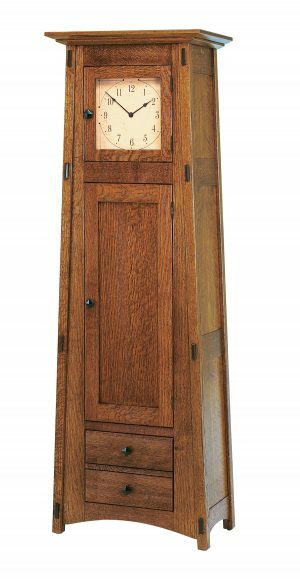 Solid Cherry grandfather clocks are gaining popularity and we can stain to suit your needs, just pick a hardware choice.